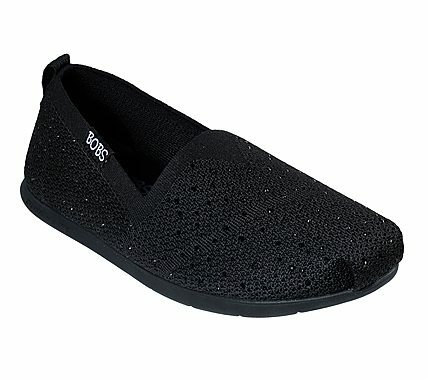 Radiant style and comfort with the SKECHERS BOBS Plush Lite - Instant Shine shoe. Soft woven flat knit mesh fabric upper with openwork weave in a slip on casual comfort alpargata flat with stitching accents and Memory Foam insole. With your purchase of BOBS, you’re helping to save the lives of dogs and cats, and donate shoes to children in need.